There are three specific factors to focus on when analyzing meter degradation and the reasoning for this occurring: Age, rate of degradation and low flow rates. Accuracy degradation only in low flow scenarios for a 20-year-old meter according to Dr. Allender, may be as high as 40% degradation or the meter may be only 60% accurate. (WEMJ, Allender, Hans, Dr.) In addition, there is also the issue of renewing the meters too often that will produce economical losses caused by the fixed costs of the investment. To solve this issue, you must either test every single water meter in the system, to exactly determine the average performance at different flow rates which can be costly or rely on statistically representative samples of each type of meter. It is also important to determine water meter weighted accuracy with the average water consumption pattern, which gives information about how much water is used at different flow ranges. The weighted accuracy is the parameter used to estimate the total unmetered water volume over time and the optimal replacement frequency of meters (Davis, S.E., Residential Water Meter Replacement Economics). One excellent example of water meter degradation would be when EMS replaced the water meter set at a property for a national REIT. The national REIT water meters were experiencing exceptional recovery rates in the two months after meter replacement and exceeded the two months prior to meter replacement by an outstanding 37%! This example further reinforces the idea that water meter degradation occurs and that there are benefits in cost recovery when the meters are replaced. In addition, it supports the assertion that this national REIT has an opportunity to greatly increase its recoveries through water meter replacement, in addition to the operational benefits of a conversion to full AMR readings. In conclusion, building owners should pay close attention to the age of their meter, and get them replaced with new meter equipment or read with AMR to avoid inaccuracy of meter reads and tenant consumption later down the line. 2 Noss, R.R. ; Newman, G.J. ; and Male, J.W., 1987. Optimal Testing Frequency for Domestic Water Meters. Journal Water Resources Planning & Management Div.— ASCE. 113:1:1. 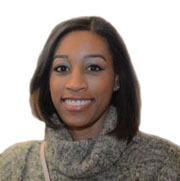 Nicole Paul is a marketing communication specialist at Energy Management Systems, Inc., Exton, PA.